It was a particularly muggy Sunday night, but everyone had winter on the brain. 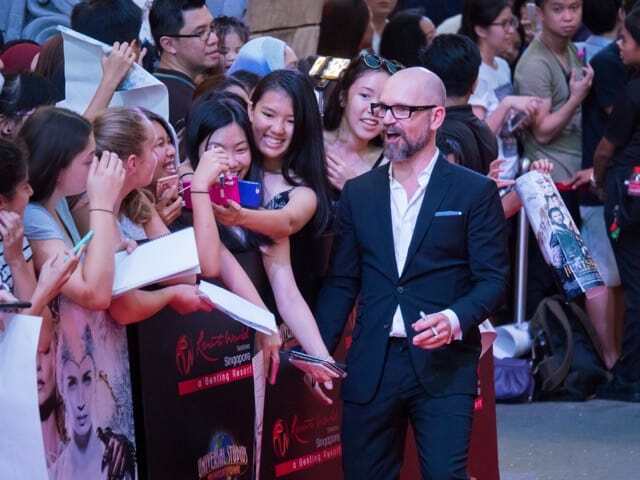 Universal Studios Singapore at Resorts World Sentosa played host to the stars and director of the fantasy action film The Huntsman: Winter’s War, the sequel/prequel/spin-off of 2012’s Snow White and the Huntsman. 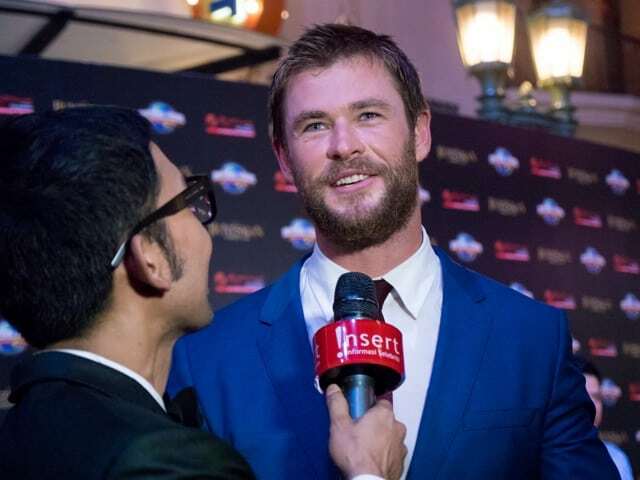 Chris Hemsworth, Oscar winner Charlize Theron, Jessica Chastain and director Cedric Nicolas-Troyan graced the red carpet and fan premiere on April 3. 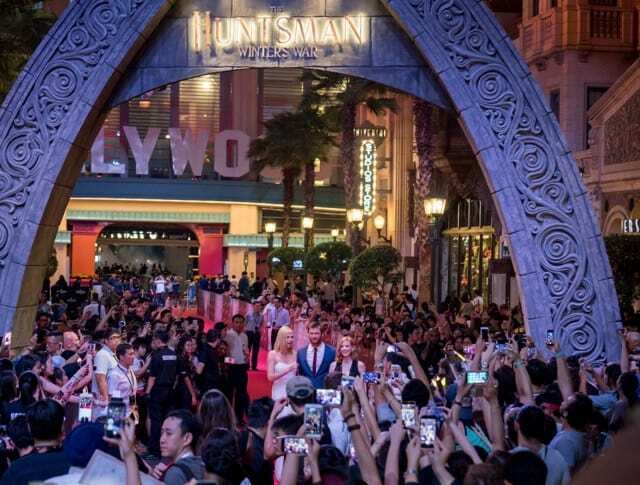 Thousands of fans and guests lined the red carpet to catch a glimpse of the cast, bearing witness to the first ever movie premiere held in the theme park. Theron looked exquisite in white, while Chastain was radiant in a sequinned black gown. 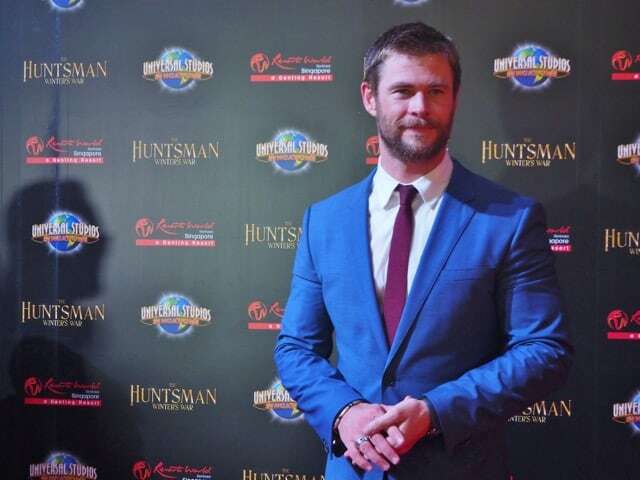 Hemsworth cut a dashing figure in a navy blue suit. 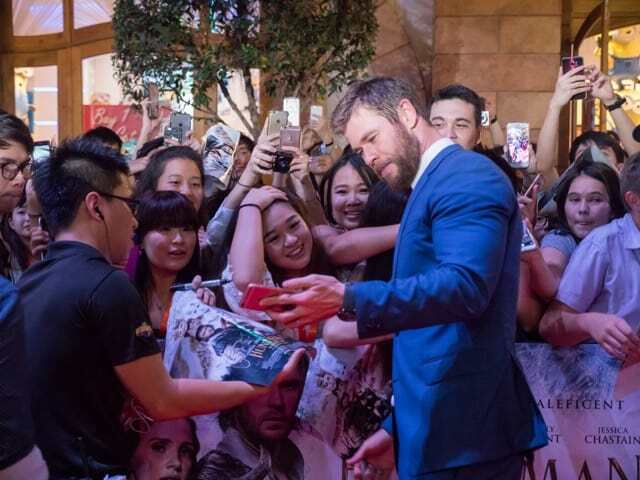 The stars took their time to pose for selfies with and sign autographs for lucky fans. This writer was thrilled when Theron deigned to pose with his custom action figure of Furiosa, her character from Mad Max: Fury Road. 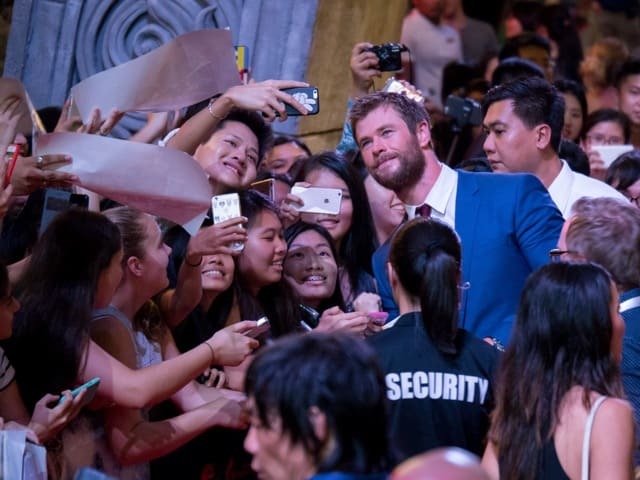 Hemsworth, Theron, Chastain and Nicolas-Troyan had their handprints preserved in concrete for posterity before entering the Pantages Theatre for the screening. The Pantages Hollywood Theatre, normally home to the Sesame Street stage show When I Grow Up, received a makeover for the premiere. 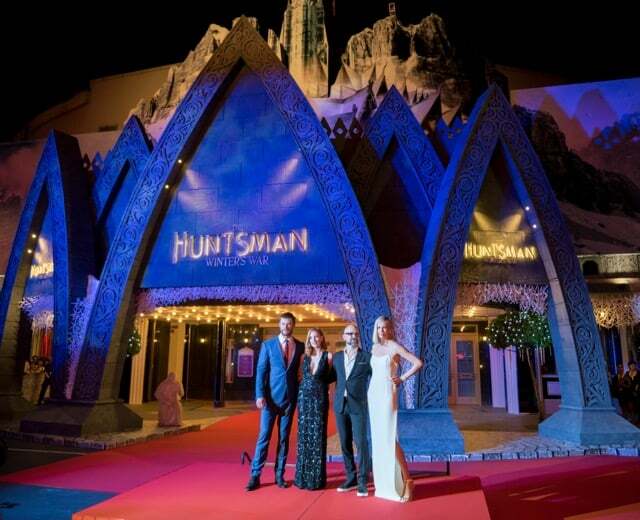 The façade of the theatre was completely transformed to resemble the ice castle in The Huntsman, which the Snow Queen Freya (Emily Blunt) calls home in the film. The 20-metre-tall structure features hand-carved and hand-painted designs, taking one month to fabricate. It was installed over a period of 10 nights. It will remain in place at Universal Studios Singapore until May 2. 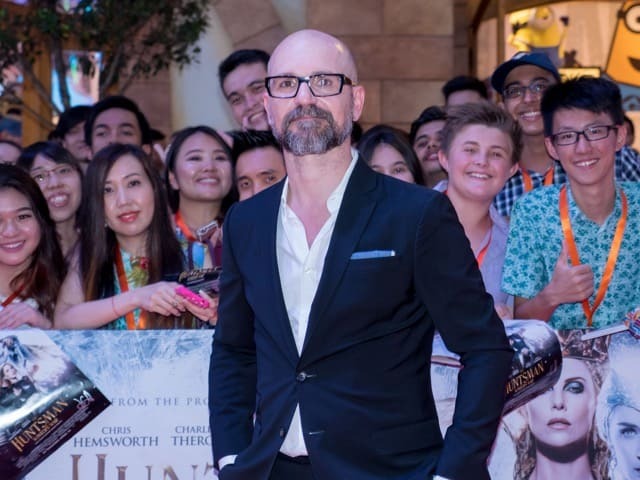 The Huntsman: Winter’s War opens island-wide on 14 April 2016.